I have a different review for you all. 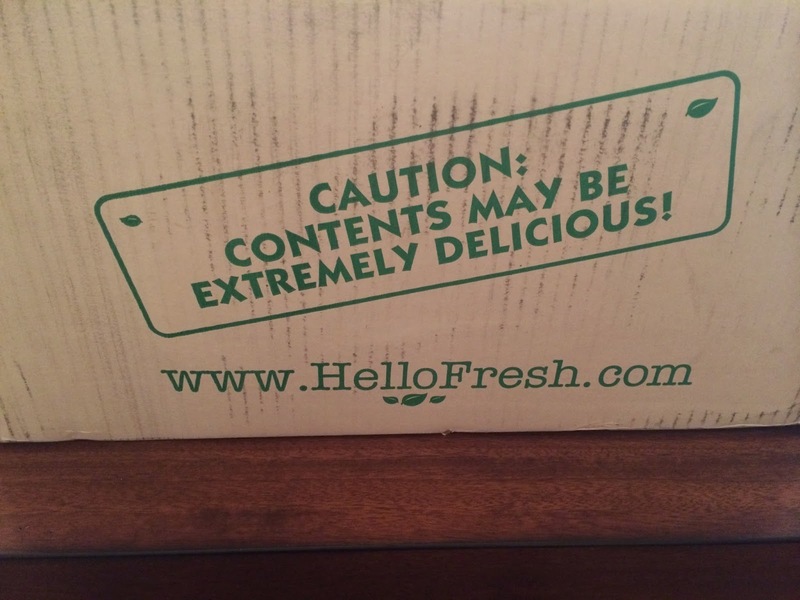 I subscribed to Hello Fresh, when I received a promo in a magazine that I couldn't resist. 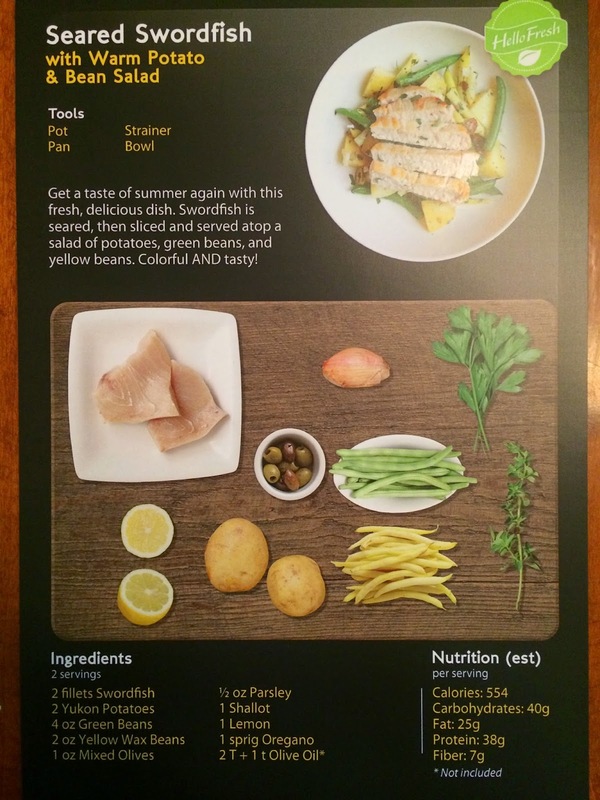 Normally, Hello Fresh costs $69 per week for the Classic Box that includes 3 meals for 2 people. 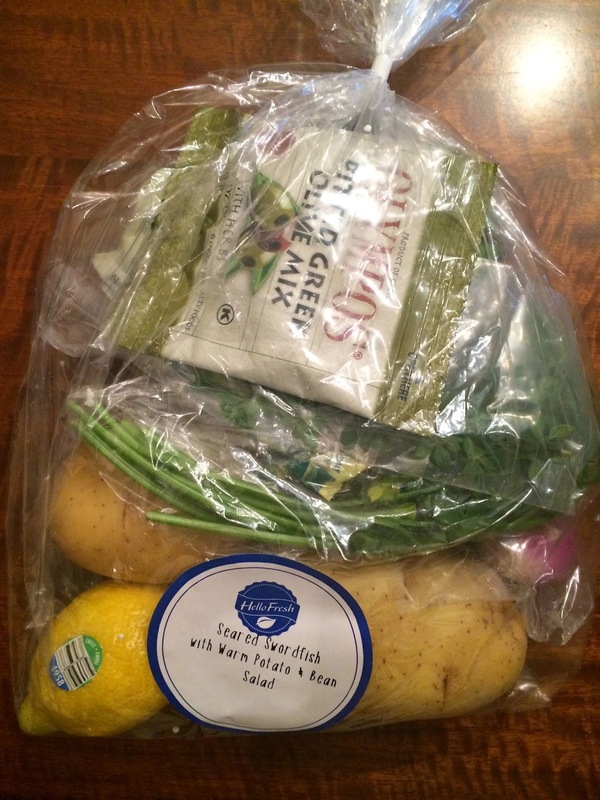 They also have a Veggie Box for $59 per week for 3 meals for 2 people. 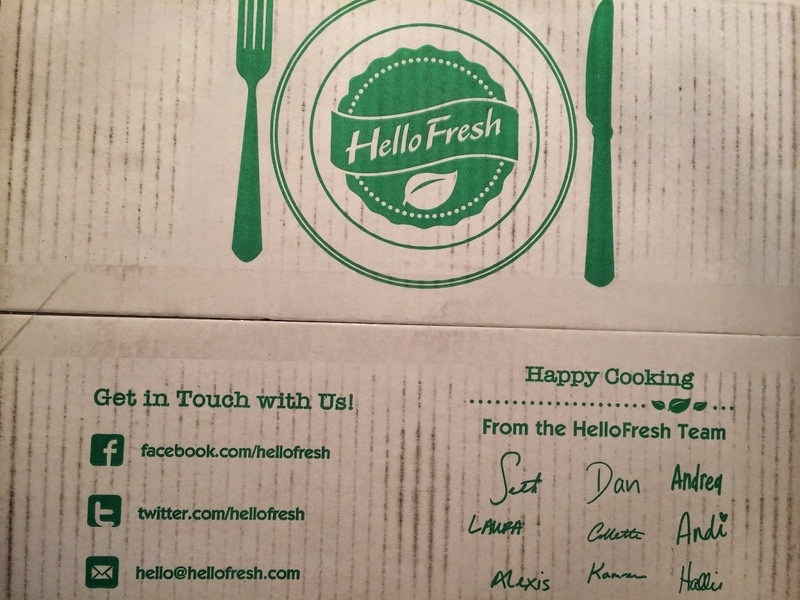 Hello Fresh is flexible as to when the boxes arrive and are now delivering coast to coast. You are able to skip weeks when you don't want to receive shipments right from your account online, so it's very convenient. 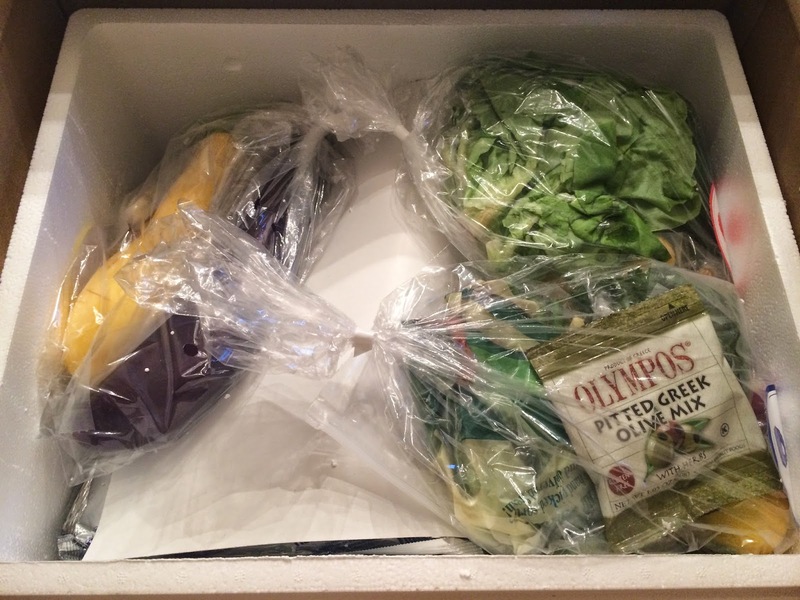 We tried one Classic Box that included 3 meals for 2 people. I wasn't sure what to expect. I didn't know what the portions would be like or what the food would look like when it arrived. I also wasn't sure if the recipes would be difficult to prepare. So, I thought it was important to review to let you know my thoughts and try to give more detail, so there are no surprises if you decide to subscribe. The box arrived as expected, during the delivery time stated. And it was a large box that was quite heavy. I couldn't wait to open it up to see how everything was packaged. I took quite a few pictures to show everything. When I opened the box the recipes were right on top and there was a foam cooler holding all the ingredients. 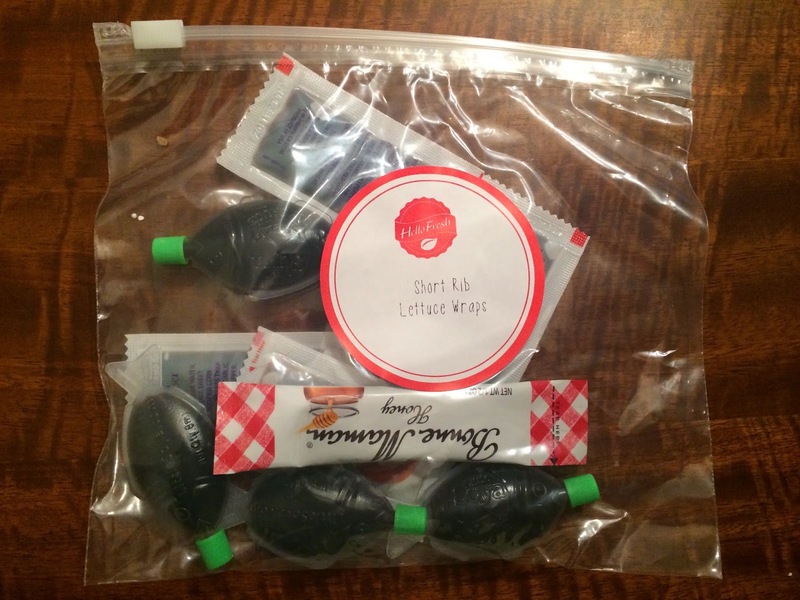 Everything was wrapped in bags labeled with the recipe the ingredients would be used for. 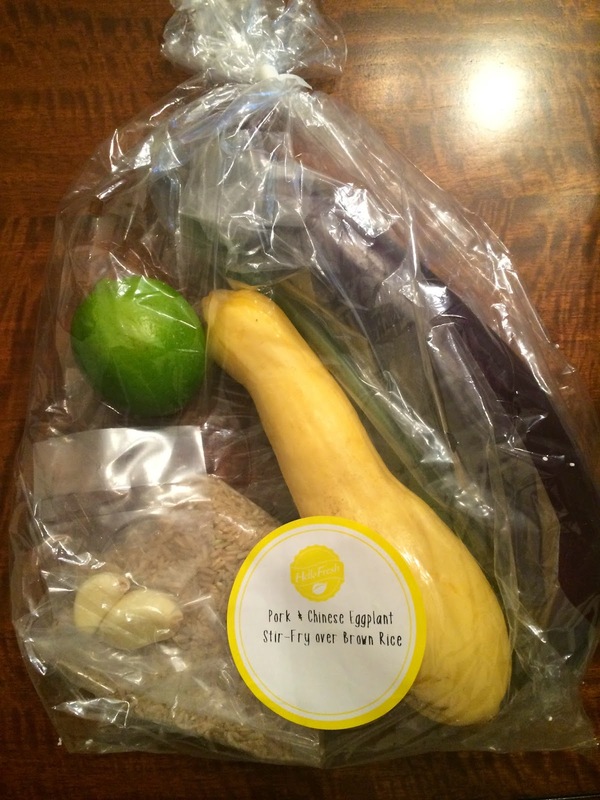 There were also packets of seasonings in a separate bag from the veggies. Everything looked fresh and in great condition. Nothing was spoiled or stinky. 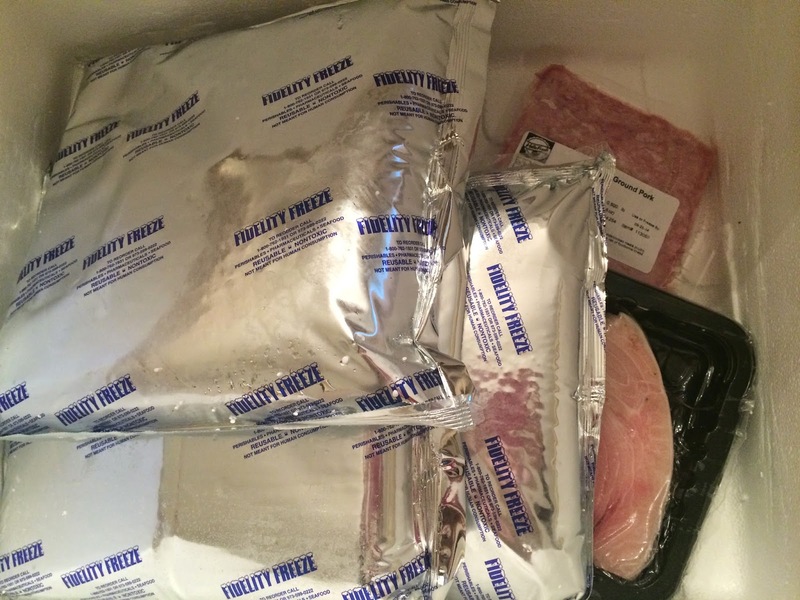 We even waited a couple days before we prepared the meals and everything stayed fresh in the refrigerator. 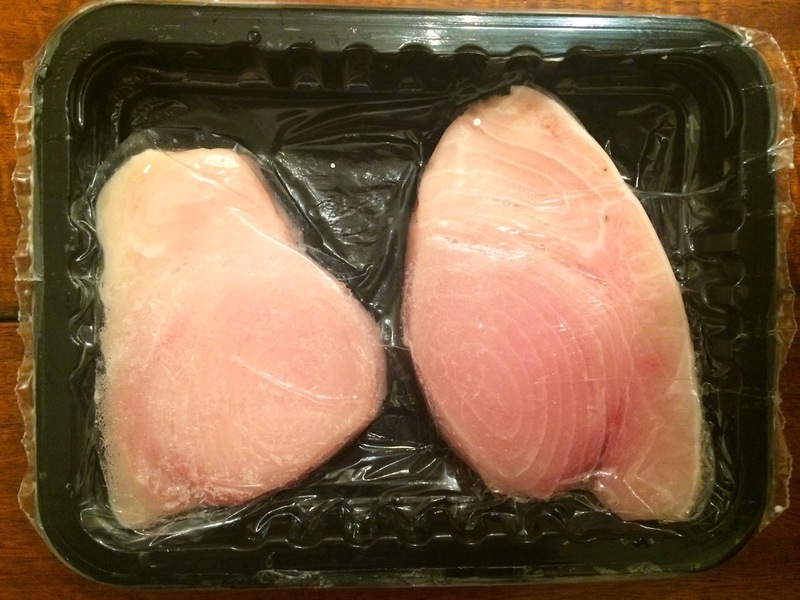 The meat was packaged at the bottom of the cooler, under multiple ice packs. 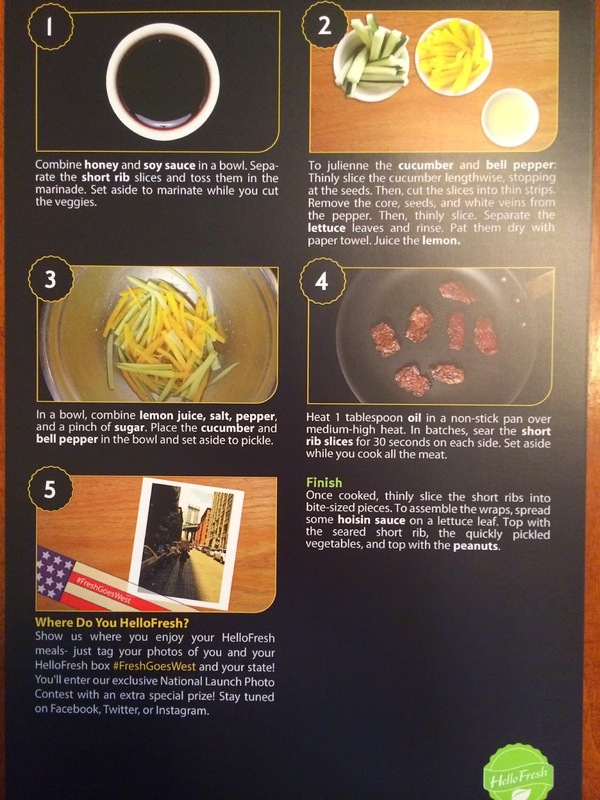 We were able to choose from 5 recipes for the week we had our delivery. 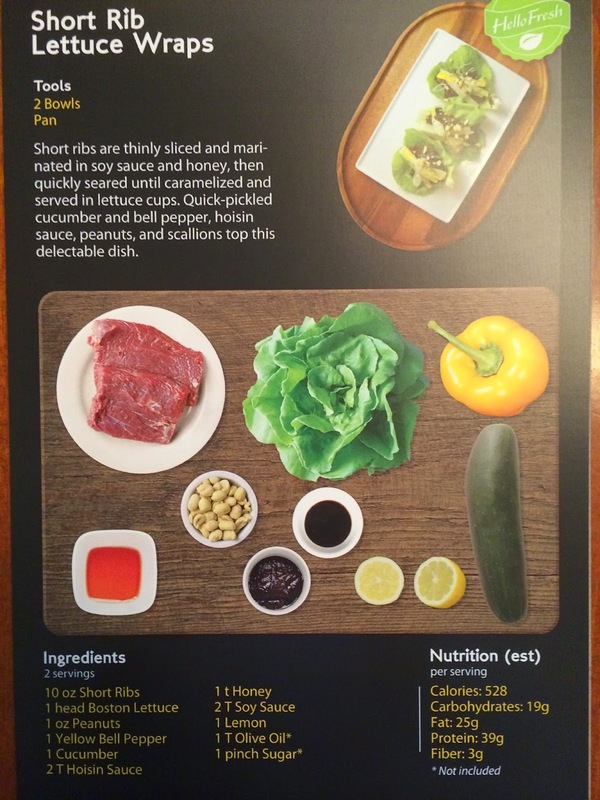 The first recipe we cooked was the Short Rib Lettuce Wraps. 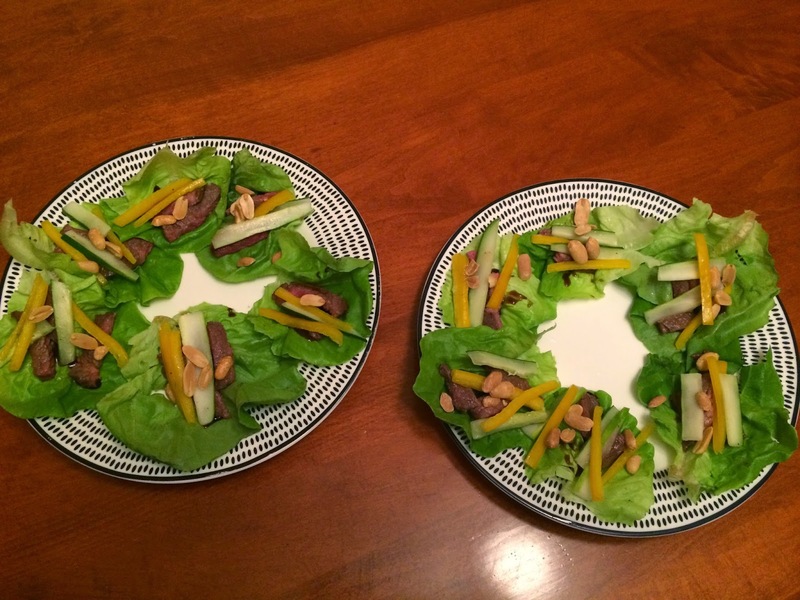 When we were making these, we thought this would not make a complete dinner and would be more of an appetizer. We really thought we would be making more food in addition to this meal. All the ingredients arrived fresh and looked and tasted great! 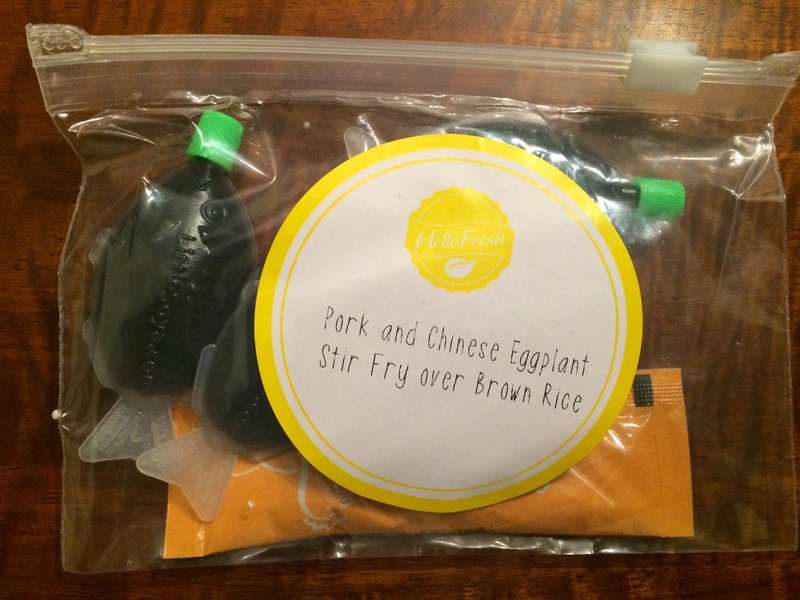 It was all packaged in bags with the name of the recipe, so we knew what went with what. The recipe card was easy to follow. We received everything we needed to make this recipe. The only items you may need to complete a recipe are items you would definitely have in the kitchen, such as salt and pepper. 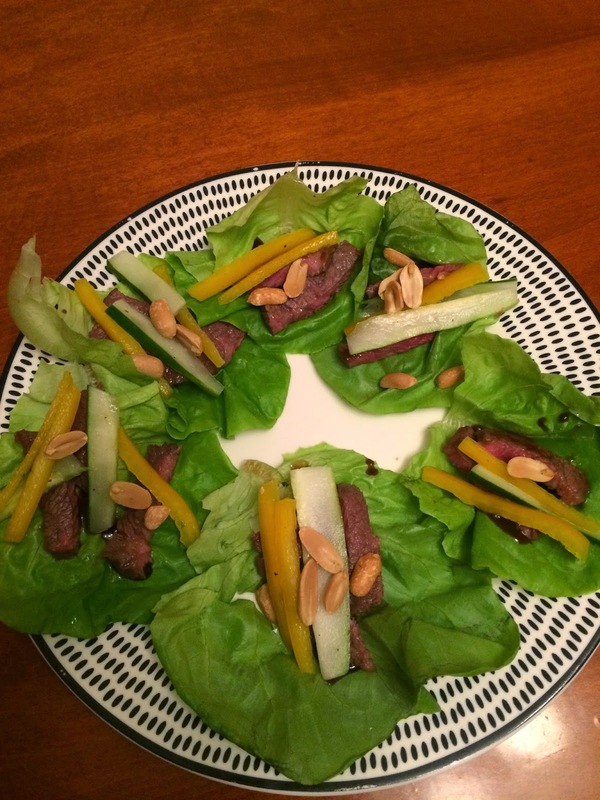 I was excited to try this recipe because it wasn't something we would normally make, but looked like a light meal that would be easy to prepare. It made so much more than we expected and filled us both up. 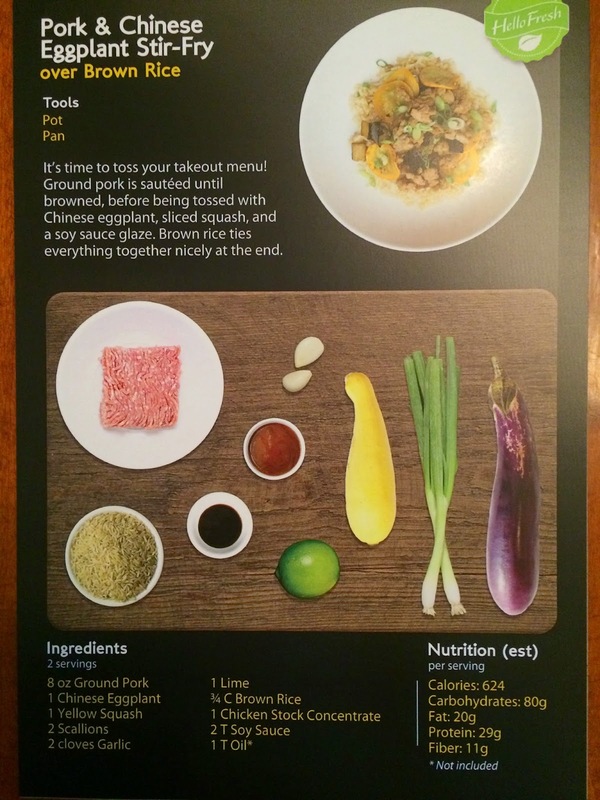 We were very happy with the taste of this meal and will be making it again in the future. I showed both plates, to show how much food it made and a close up of one plate. We even had some extra lettuce and other ingredients including spare ribs that weren't shown on the plate. So, this recipe definitely made enough to fill up at least 2 bellies! 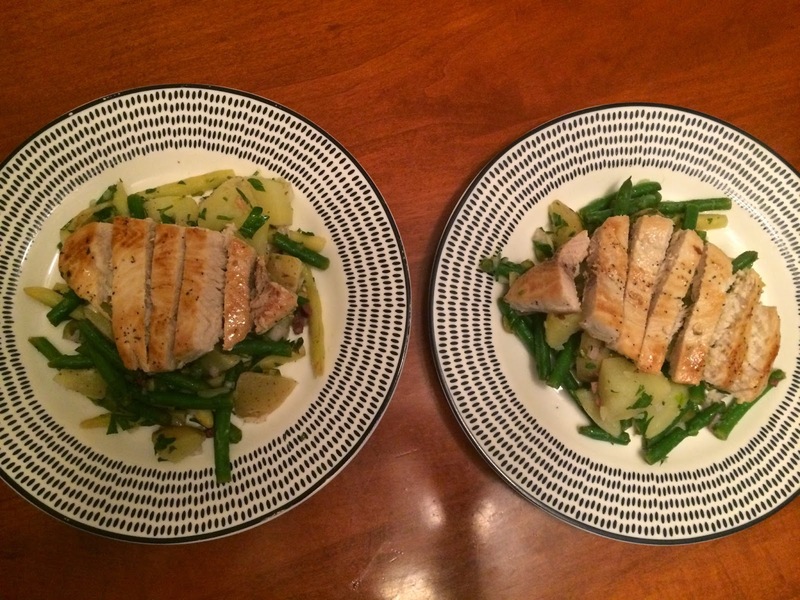 The next recipe we tried was Seared Swordfish with Warm Potato & Bean Salad. I was interested to see how the olives worked in this dish. And I was hoping I would love the potato and bean salad. 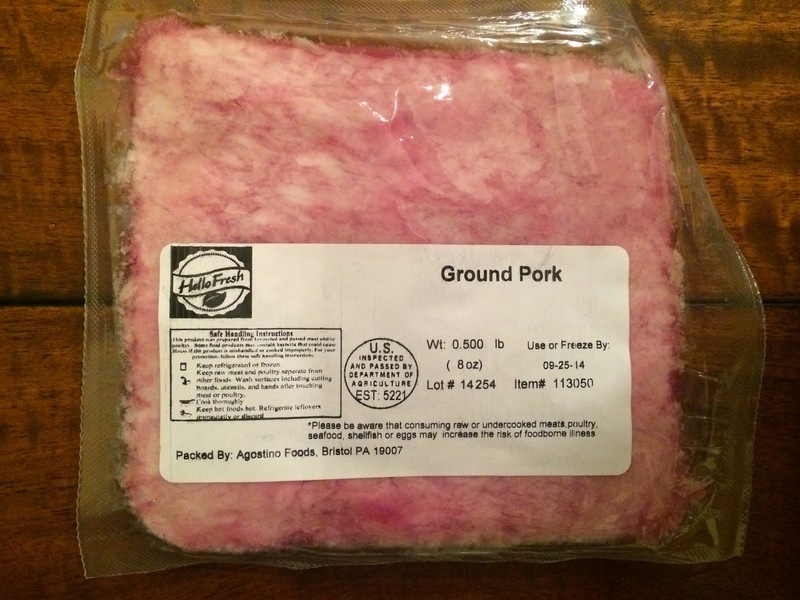 Here is a picture of the ingredients for this dish. 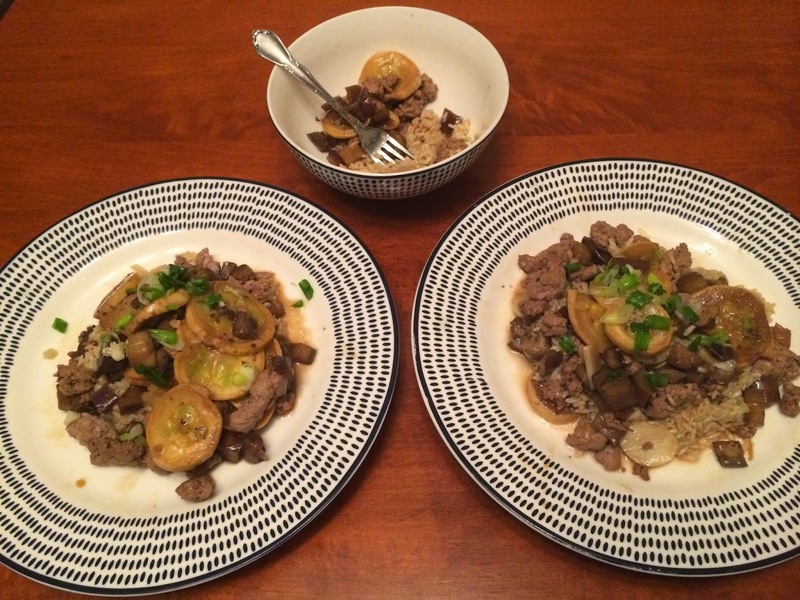 I loved how everything was portioned, so we received just the right amount to make two meals. This was delicious and probably our favorite meal of the bunch. The flavors together were great! And it was quite filling. 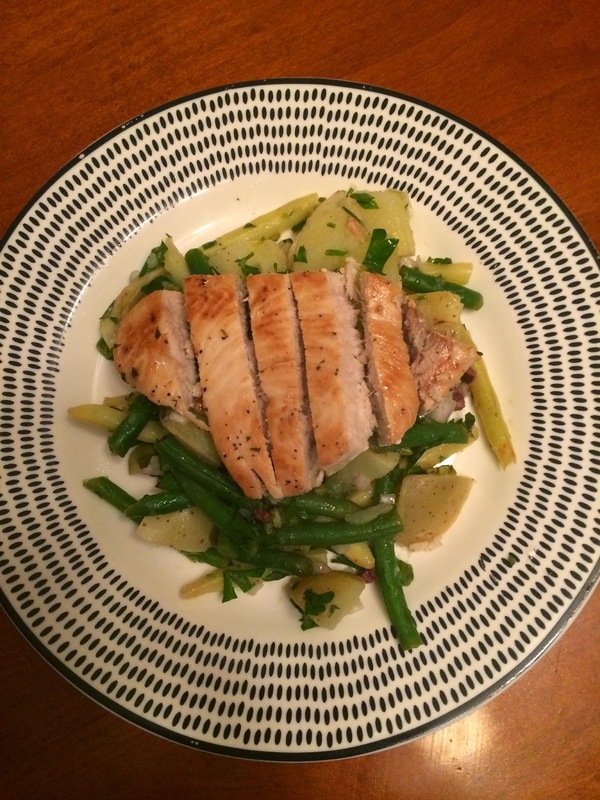 We will also be making this again, especially the potato and bean salad because it was yummy! This meal also looked as delicious as it tasted, so it'd be a great meal to serve when entertaining guests. The final meal we chose was something that wasn't too out of the ordinary for us. 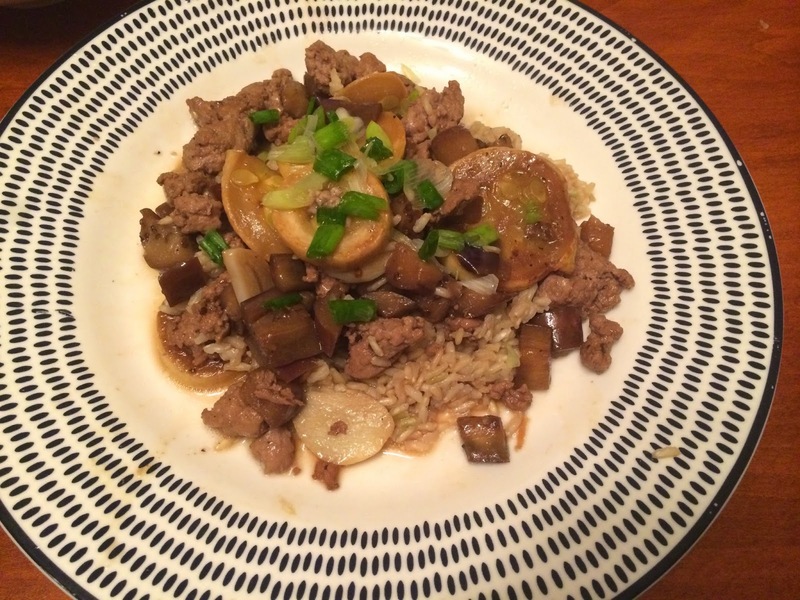 It was the Pork & Chinese Eggplant Stir-Fry. I liked that this stir fry had eggplant and squash in it, and I knew the whole family would eat it. 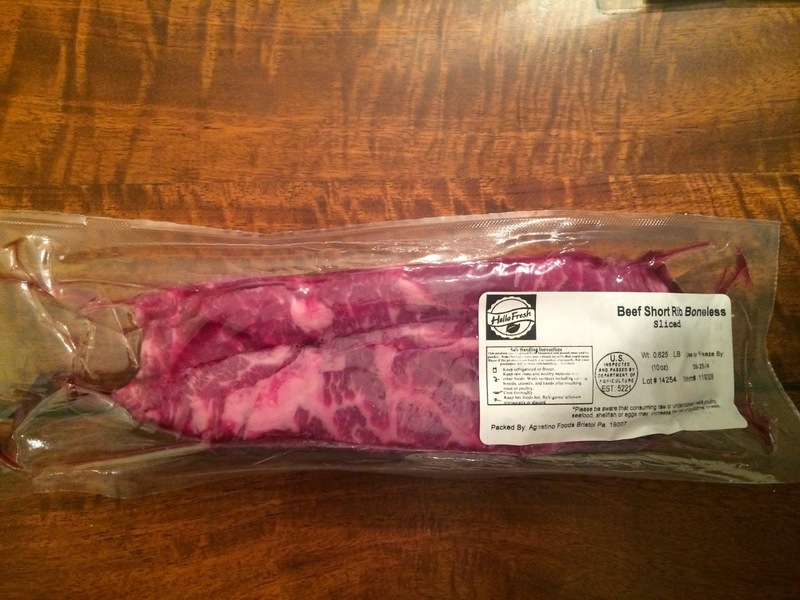 Here is a picture of the ingredients for this meal. This meal was very good also. We did under cook the brown rice slightly and may have added a bit too much salt to ours, but otherwise the flavor was very good. And this made the perfect portions also. We even had extra, so our 2 year old shared this with us. And enjoyed it as much as we did! I was very happy with the quality of ingredients and the shipping process and most importantly the delicious meals we prepared. 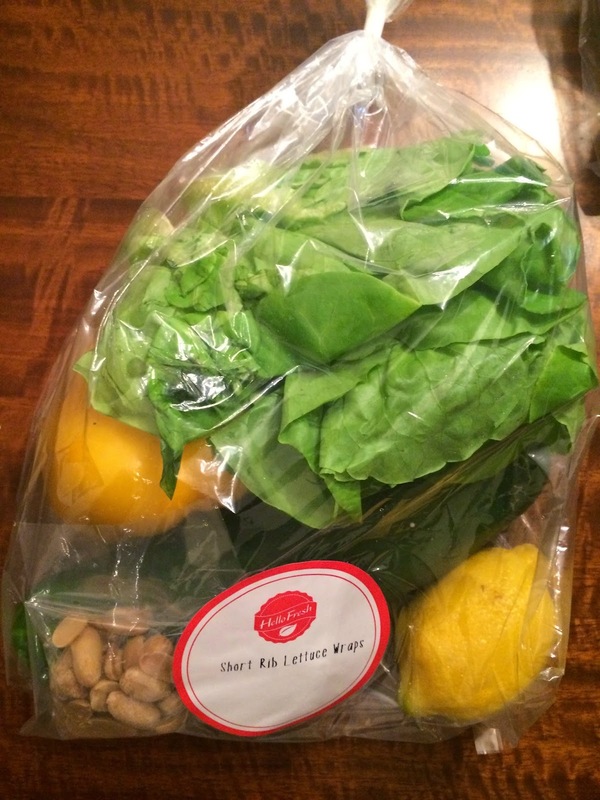 Hello Fresh is a great service for busy families that don't have time to think of what to prepare for dinner every night! And looking at these pictures makes me hungry. The meals were seriously so good, and we kept all the recipes so we can make them again!